While it is generally not recommended, you can exclude certain files, programs, mail servers, or websites from being scanned by Avast Security shields. Exclusions can be useful to speed up scans or to prevent false positive detections. 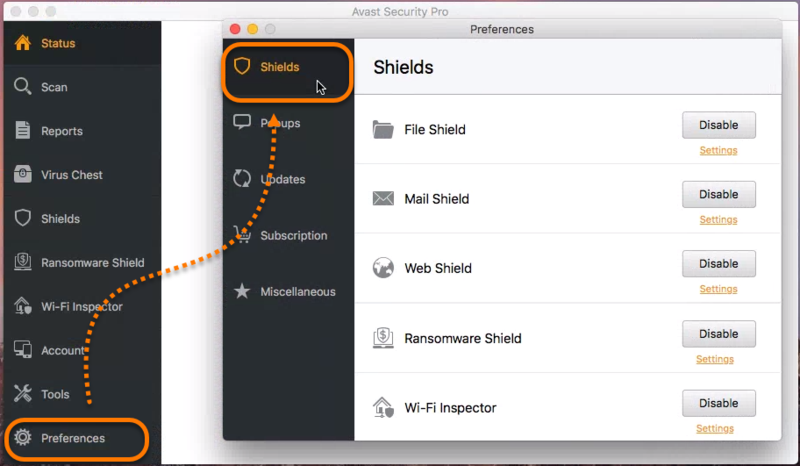 Refer to the sections in this article for instructions on setting exclusions for Avast Security scans. Click Preferences and ensure the Shields tab is selected in the new window that appears. Click Settings next to File Shield. 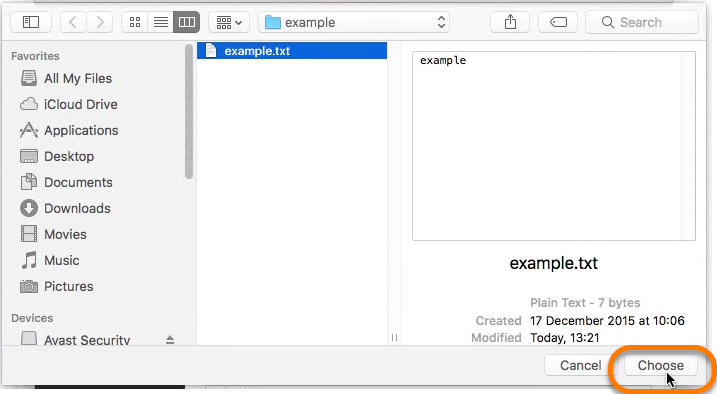 Click the plus (+) icon and select a file and/or directory, then click Choose. 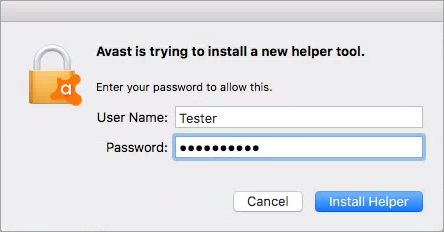 If prompted, enter your administrator credentials and click Install helper. To remove an item from Excluded paths, select the file or directory path in the list and click the minus (-) icon. 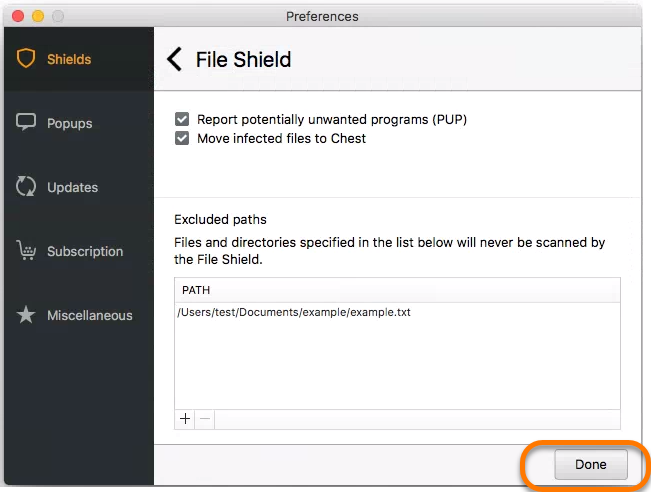 Click Settings in the File Shield section. Click the plus (+) icon and enter your administrator credentials if prompted. 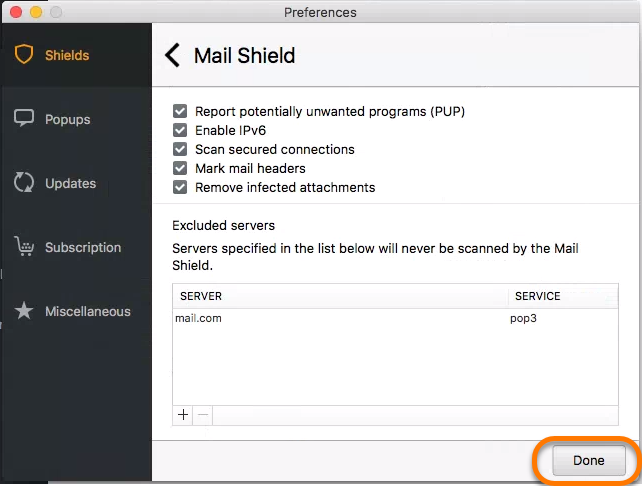 Enter the mail server and select the service type, then click Add. To remove an item from Excluded servers, select the server in the list and click the minus (-) icon. 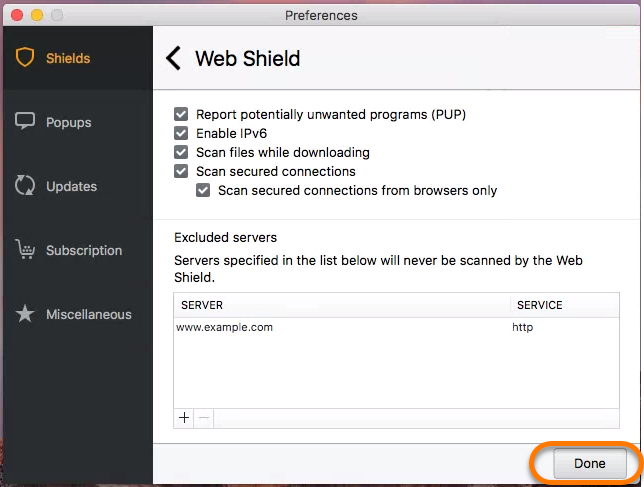 Click Settings in the Web Shield section. 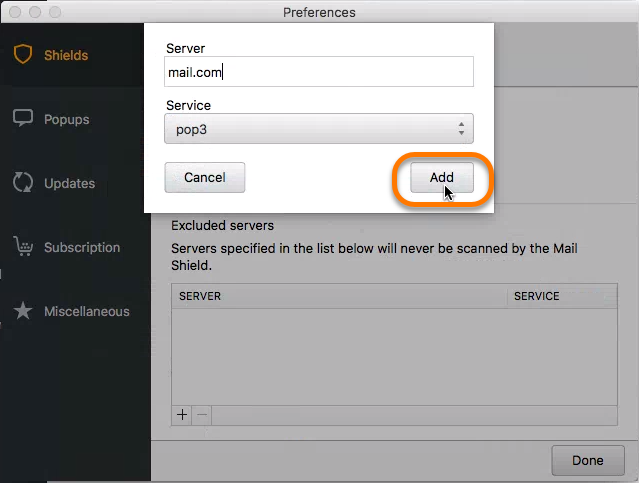 Enter the web server and select the service type, then click Add. 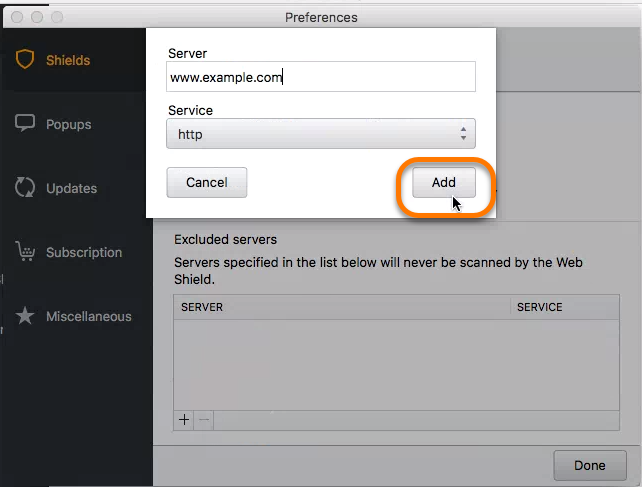 To remove a website from Excluded servers, select the server in the list and click the minus (-) icon.